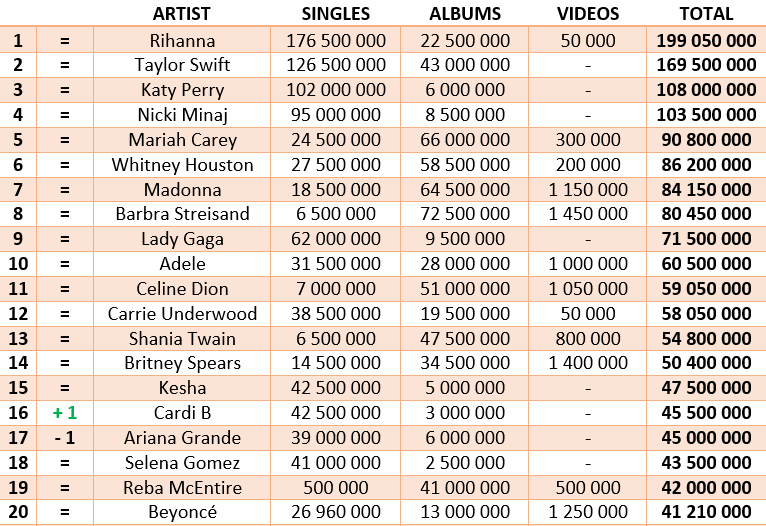 Damn, Gaga is so undercertified. BEYONCE is coming. Just wait until the end of the decade. I think she's about to make a LARGE SPLASH the day before they announce RIAAs most certified artist of the decade. DC is coming too. 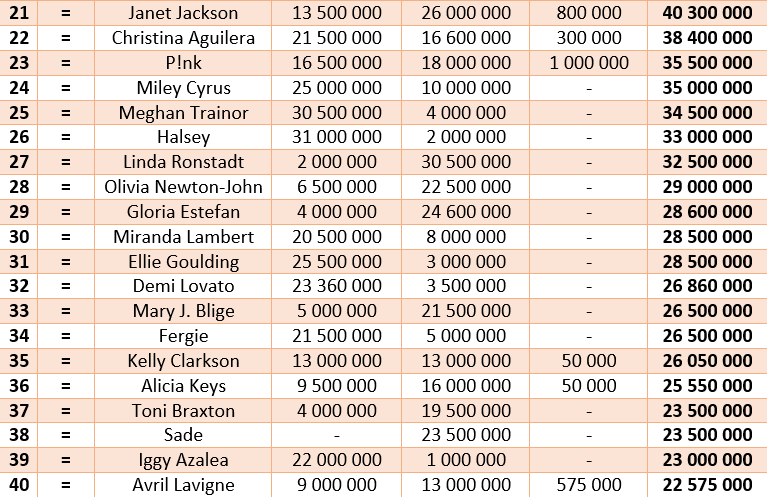 A pity that P!nk and Kelly are undercertified.